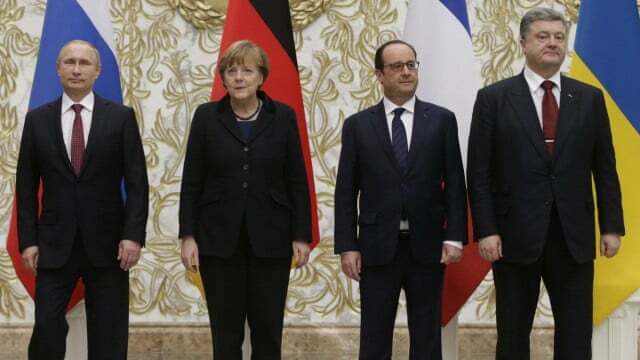 The leaders of Russia, Ukraine, France and Germany on Thursday announced a cease-fire in eastern Ukraine following marathon talks in the Belarusian capital of Minsk. 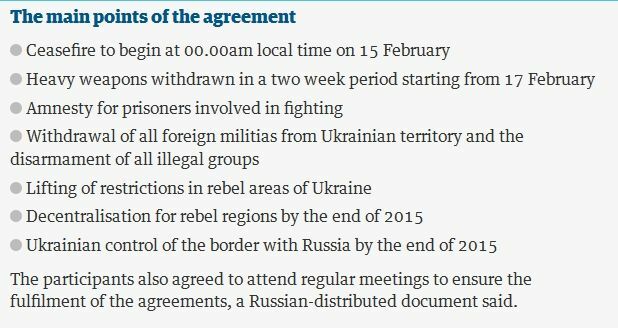 Russian President Vladimir Putin said the agreement envisages the cease-fire starting Sunday, a special status for rebel regions, provisions on border controls and humanitarian issues. But Ukrainian President Petro Poroshenko said the talks did not include any agreement on autonomy or federalization for eastern Ukraine, a longtime demand of Russia. The deal requires the Ukrainian parliament to give wide powers to the eastern regions as a condition for restoring Ukraine's full control over the border — a provision certain to trigger heated political debate in Ukraine. the Ukrainian government forces in Donetsk. German Chancellor Angela Merkel, French President Francois Hollande, Poroshenko and Putin began talks on Wednesday in an effort to hash out a peace agreement between Kiev and the separatists amid a spike in fighting. "We now have a glimmer of hope," Merkel said. "But the concrete steps of course have to be taken, and we will still face major obstacles. But on balance I can say that we have achieved gives significantly more hope than if we had achieved nothing." 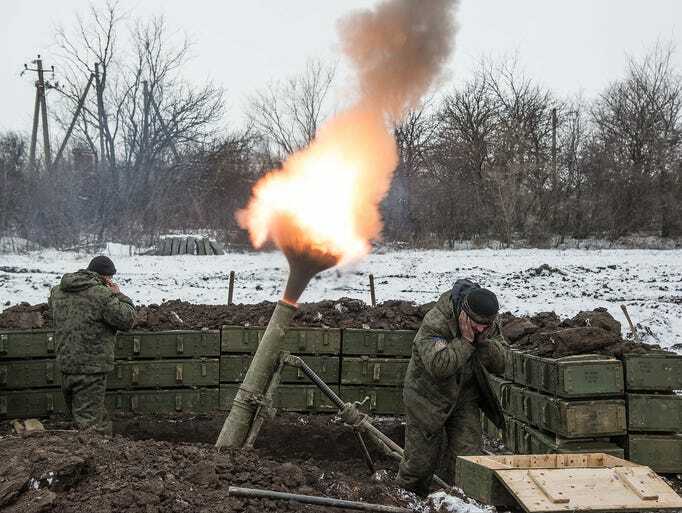 The agreement is a complex compromise that allows both Russia and Ukraine to claim victory, but is full of potential pitfalls that may derail its implementation. 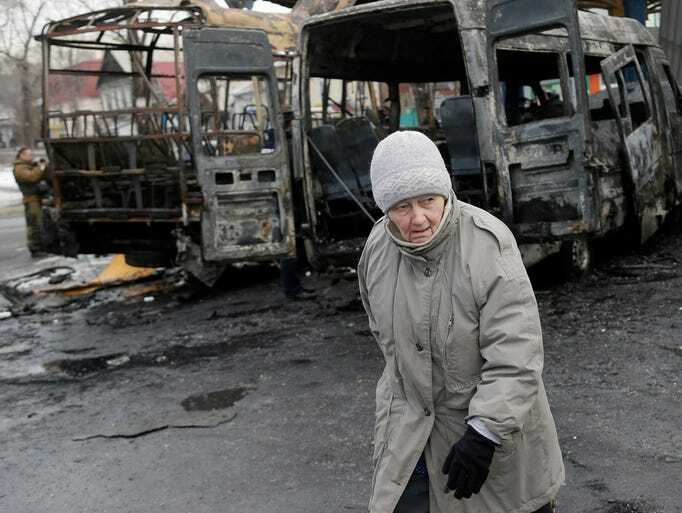 Uncertainty remained even regarding the declared cease-fire, as Putin admitted that he and Poroshenko disagreed on assessing the situation in the government-held town of Debaltseve, a key flashpoint. "It was not the best night in my life. 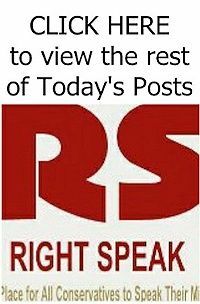 But the morning, I think, is good, because we have managed to agree on the main things despite all the difficulties of the negotiations," Putin told reporters following 16 hours of talks. Poroshenko stressed that the agreement contains "a clear commitment to withdraw all foreign troops, all mercenaries from the territory of Ukraine."